The funnel is dead. 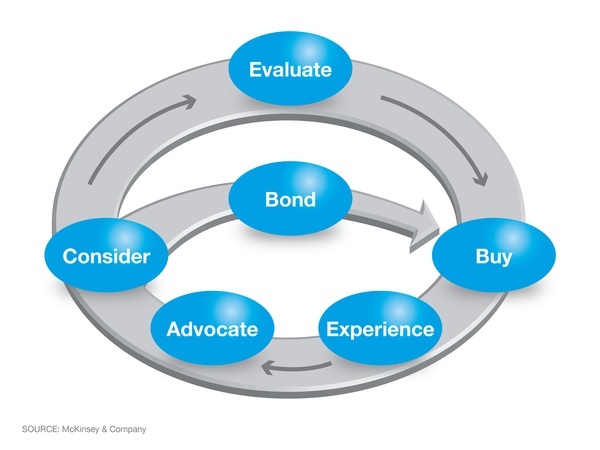 The new consumer decision journey | LinkedIn. This visualization of the journey helps focus conversations on where to spend money, where the opportunities are, what sorts of people and processes you need to deliver on them, where you’re weak and your competitors strong. It’s incredible the conversations I’ve had where clients realize they’re over-spending in one stage of the journey or under-spending in another. The CDJ approach helps clarify the issues that are undermining your brand, or where your brand has an opportunity to grow. You can read more about it in this article. Galeria | Esse post foi publicado em Artigos, Consumidor, Internacional, Marketing e marcado Artigos, Consumidor, Internacional, Marketing. Guardar link permanente.